When you’re in that space of unmotivated and unsure, there are a couple of key concepts to keep in mind. You’re here with me right now because you’re on a trajectory of becoming a better YOU. So I know you’re not wallowing in this lost-ness. One: Break! Yes, give yourself a break from where you are, do something different, and get a new perspective. Two: Remember why you started going down this path. Remember what mattered and what you truly value about the outcome. Three: Take Action, even a small step can get you restarted. Get a small success behind you and you’ll be ready to get a second step of success. Then repeat that and take another small step. 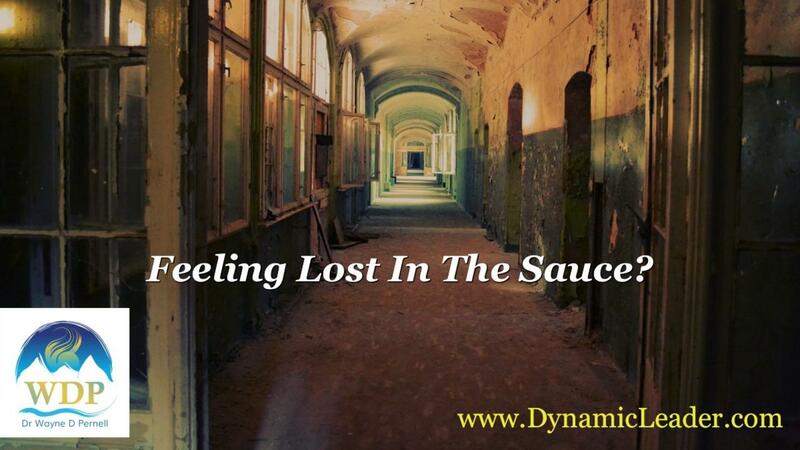 You’re not lost in the sauce… you’re marinating for something better! See you here next week. If this was helpful, please share it! And, if you’re interested in working with me not ready to take the leap of going all-in for 1:1 coaching, check out my exclusive and space-limited retreat designed to break you through to your next level! Join me in San Diego in April!! !